Neutrinos are some of the most abundant, curious, and elusive critters in particle physics. Incredibly lightweight — nigh massless, according to the Standard Model — as well as chargeless, they zip around the Universe at the speed of light and they don’t interact with any other particles. Some of them have been around since the Big Bang and, just as you’ve read this, trillions of them have passed through your body (and more are on the way.) But despite their ubiquitousness neutrinos are notoriously difficult to study precisely because they ignore pretty much everything made out of anything else. So it’s not surprising that weighing a neutrino isn’t as simple as politely asking one to step on a scale. Thankfully particle physicists are a tenacious lot, including the ones at the U.S. Department of Energy’s Fermilab, and they aren’t giving up on their latest neutrino safari: the NuMI Off-Axis Electron Neutrino Appearance experiment, or NOvA. (Scientists represent neutrinos with the Greek letter nu, or v.) It’s a very small-game hunt to catch neutrinos on the fly, and it uses some very big equipment to do the job. And it’s already captured its first neutrinos — even before their setup is fully complete. Created by smashing protons against graphite targets in Fermilab’s facility just outside Chicago, Illinois, resulting neutrinos are collected and shot out in a beam 500 miles northwest to the NOvA far detector in Ash River, Minnesota, located along the Canadian border. The very first beams were fired in Sept. 2013, while the Ash River facility was still under construction. The beams from Fermilab are fired in two-second intervals, each sending billions of neutrinos directly toward the detectors. The near detector at Fermilab confirms the initial “flavor” of neutrinos in the beam, and the much larger far detector then determines if the neutrinos have changed during their three-millisecond underground interstate journey. Again, because neutrinos don’t readily interact with ordinary particles, the beams can easily travel straight through the ground between the facilities — despite the curvature of the Earth. In fact the beam, which starts out 150 feet (45 meters) below ground near Chicago, eventually passes over 6 miles (10 km) deep during its trip. After completion this summer NOvA’s near and far detectors will weigh 300 and 14,000 tons, respectively. The goal of the NOvA experiment is to successfully capture and measure the masses of the different neutrino flavors and also determine if neutrinos are their own antiparticles (they could be the same, since they lack specific charge.) By comparing the oscillations (i.e., flavor changes) of muon neutrino beams vs. muon antineutrino beams fired from Fermilab, scientists hope to determine their mass hierarchy — and ultimately discover why the Universe currently contains much more matter than antimatter. Once the experiment is fully operational scientists expect to catch a precious few neutrinos every day — about 5,000 total over the course of its six-year run. Until then, they at least now have their first few on the books. Find out more about the NOvA research goals here. The NOvA collaboration is made up of 208 scientists from 38 institutions in the United States, Brazil, the Czech Republic, Greece, India, Russia and the United Kingdom. The experiment receives funding from the U.S. Department of Energy, the National Science Foundation and other funding agencies. The hunt for elusive neutrinos will soon get its largest and most powerful tool yet: the enormous KM3NeT telescope, currently under development by a consortium of 40 institutions from ten European countries. Once completed KM3NeT will be the second-largest structure ever made by humans, after the Great Wall of China, and taller than the Burj Khalifa in Dubai… but submerged beneath 3,200 feet of ocean! KM3NeT – so named because it will encompass an area of several cubic kilometers – will be composed of lengths of cable holding optical modules on the ends of long arms. These modules will stare at the sea floor beneath the Mediterranean in an attempt to detect the impacts of neutrinos traveling down from deep space. Successfully spotting neutrinos – subatomic particles that don’t interact with “normal” matter very much at all, nor have magnetic charges – will help researchers to determine which direction they originated from. That in turn will help them pinpoint distant sources of powerful radiation, like quasars and gamma-ray bursts. Only neutrinos could make it this far and this long after such events since they can pass basically unimpeded across vast cosmic distances. Each Digital Optical Module (DOM) is a standalone sensor module with 31 3-inch PMTs in a 17-inch glass sphere. In effect, by looking down beneath the sea KM3NeT will allow scientists to peer outward into the Universe, deep into space as well as far back in time. In addition to searching for neutrinos passing through Earth, KM3NeT will also look toward the galactic center and search for the presence of neutrinos there, which would help confirm the purported existence of dark matter. Read more about the KM3NeT project here, and check out a detailed article on the telescope and neutrinos on Popsci.com. It’s been a tenet of the standard model of physics for over a century. The speed of light is a unwavering and unbreakable barrier, at least by any form of matter and energy we know of. Nothing in our Universe can travel faster than 299,792 km/s (186,282 miles per second), not even – as the term implies – light itself. 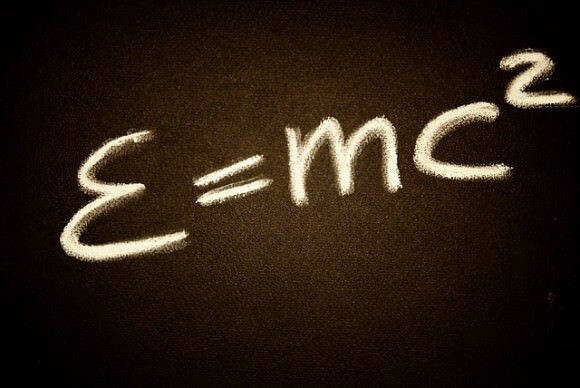 It’s the universal constant, the “c” in Einstein’s E = mc2, a cosmic speed limit that can’t be broken. An international team of scientists at the Gran Sasso research facility outside of Rome announced today that they have clocked neutrinos traveling faster than the speed of light. 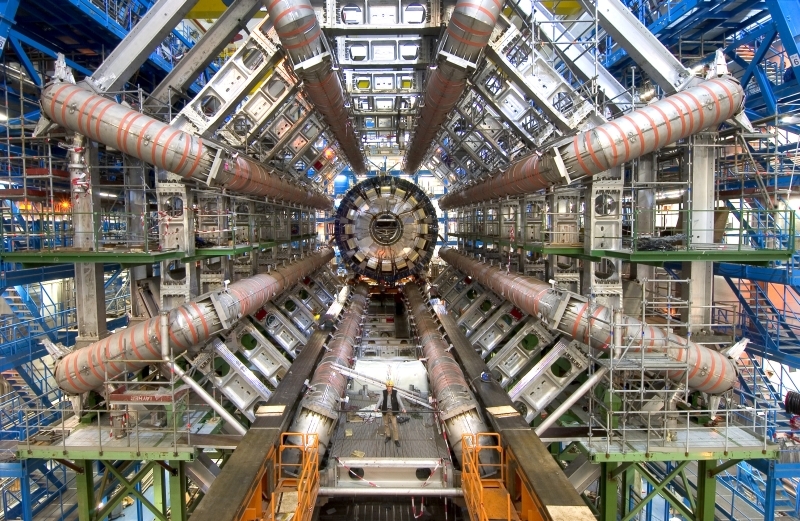 The neutrinos, subatomic particles with very little mass, were contained within beams emitted from CERN 730 km (500 miles) away in Switzerland. Over a period of three years, 15,000 neutrino beams were fired from CERN at special detectors located deep underground at Gran Sasso. Where light would have made the trip in 2.4 thousandths of a second, the neutrinos made it there 60 nanoseconds faster – that’s 60 billionths of a second – a tiny difference to us but a huge difference to particle physicists! The implications of such a discovery are staggering, as it would effectively undermine Einstein’s theory of relativity and force a rewrite of the Standard Model of physics. The OPERA Neutrino Detector. Credit: LGNS. “We are shocked,” said project spokesman and University of Bern physicist Antonio Ereditato. Neutrinos are created naturally from the decay of radioactive materials and from reactions that occur inside stars. Neutrinos are constantly zipping through space and can pass through solid material easily with little discernible effect… as you’ve been reading this billions of neutrinos have already passed through you! The experiment, called OPERA (Oscillation Project with Emulsion-tRacking Apparatus) is located in Italy’s Gran Sasso facility 1,400 meters (4,593 feet) underground and uses a complex array of electronics and photographic plates to detect the particle beams. Its subterranean location helps prevent experiment contamination from other sources of radiation, such as cosmic rays. Over 750 scientists from 22 countries around the world work there. Ereditato is confident in the results as they have been consistently measured in over 16,000 events over the past two years. Still, other experiments are being planned elsewhere in an attempt to confirm these remarkable findings. If they are confirmed, we may be looking at a literal breakdown of the modern rules of physics as we know them! A preprint of the OPERA results will be posted on the physics website ArXiv.org. Read more on the Nature article here and on Reuters.com. UPDATE: The OPERA team paper can be found here. Cosmologists – and not particle physicists — could be the ones who finally measure the mass of the elusive neutrino particle. A group of cosmologists have made their most accurate measurement yet of the mass of these mysterious so-called “ghost particles.” They didn’t use a giant particle detector but used data from the largest survey ever of galaxies, the Sloan Digital Sky Survey. While previous experiments had shown that neutrinos have a mass, it is thought to be so small that it was very hard to measure. 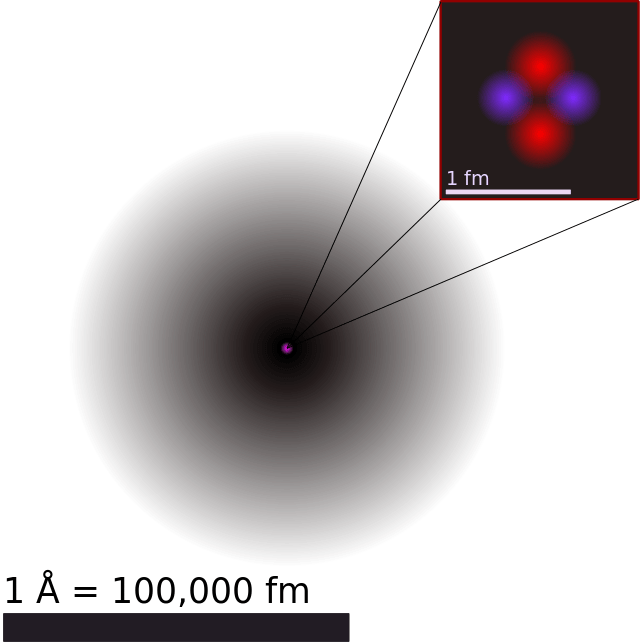 But looking at the Sloan data on galaxies, PhD student Shawn Thomas and his advisers at University College London put the mass of a neutrino at no greater than 0.28 electron volts, which is less than a billionth of the mass of a single hydrogen atom. This is one of the most accurate measurements of the mass of a neutrino to date. Their work is based on the principle that the huge abundance of neutrinos (there are trillions passing through you right now) has a large cumulative effect on the matter of the cosmos, which naturally forms into “clumps” of groups and clusters of galaxies. As neutrinos are extremely light they move across the universe at great speeds which has the effect of smoothing this natural “clumpiness” of matter. By analysing the distribution of galaxies across the universe (i.e. the extent of this “smoothing-out” of galaxies) scientists are able to work out the upper limits of neutrino mass. A neutrino is capable of passing through a light year –about six trillion miles — of lead without hitting a single atom. Central to this new calculation is the existence of the largest ever 3D map of galaxies, called Mega Z, which covers over 700,000 galaxies recorded by the Sloan Digital Sky Survey and allows measurements over vast stretches of the known universe. The Cosmologists at UCL were able to estimate distances to galaxies using a new method that measures the colour of each of the galaxies. By combining this enormous galaxy map with information from the temperature fluctuations in the after-glow of the Big Bang, called the Cosmic Microwave Background radiation, they were able to put one of the smallest upper limits on the size of the neutrino particle to date. The authors are confident that a larger survey of the Universe, such as the one they are working on called the international Dark Energy Survey, will yield an even more accurate weight for the neutrino, potentially at an upper limit of just 0.1 electron volts. The results are published in the journal Physical Review Letters.